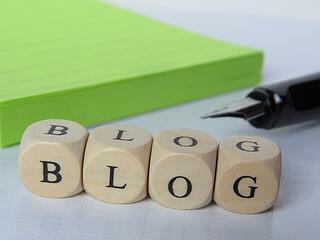 Should your B2B company have a blog and should you write it yourselves? There are hundreds of millions of blogs (Tumblr says about 320 million) and millions of new posts every day (over 3M new posts a day). In such an incredibly crowded space, should a B2B company that deals in a niche industry, with a niche solution, embark on a blog? It’s a good question - because NOT every B2B company SHOULD have a blog. There are pros and cons, and for many B2B companies, the cons legitimately outweigh the cons. I hope this post will help you evaluate what the value of a blog is for your business, and that if you decide to undertake a blog, you’ll know the resources that it will take to do it well. And if you decide not to, you’ll know your reasons and be able to explain them to others. I’ll preface this with the fact that Mezzanine started blogging in 2008 and we’ve written over 500 posts, and many posts enjoyed a second life in my book The Radical Sales Shift on strategic B2B marketing. But on the other hand, we don’t advise all of our clients to start a blog. We like blogs, but only in the right situations. Blogs get your message out there. Over 409 million people view more than 8 billion pages every month. That’s a powerful way to raise awareness of your company among all those potential customers who have never heard of your business. Blogs are an easy conduit to promote your company’s expertise. While the analog ways of sharing your expertise (like going to conferences) is expensive, blogs are relatively cheap. And since the heart of B2B marketing is sharing expertise, blogs are a good way to build your company’s reputation. Blogs improve your search rankings. Sites that publish new content are rewarded by the algorithms that determine search results. If you publish blog posts on a regular basis, your website is more likely to rank well for your keywords. In this way, blogs are ‘a means to an end’. The algorithms will see that you publish new content on a regular basis, and they’ll reward your website for that with higher rankings. If you don’t grab your prospect’s attention, your competitor will. With so many blogs out there, a prospect is going to find somebody’s information – and better that it be your information than your competitor’s. These are all great reasons for a B2B company to have a blog – which is why there are so many of them. Sustaining a blog takes time and money. The key word here is ‘sustaining’. It’s easy enough to launch a blog. But the benefits come from sustaining it. And often that takes more resources than people realize. It’s easy(ish) to write a 500 word post on a topic you know a lot about. To consistently generate 500 words, week-in and week-out, is a lot harder. It is difficult to measure the full impact of a blog – some of its benefits will get buried in other metrics. You’ll be able to see how many subscribers you have, how many people read each of your posts, and how many click on a Call to Action within posts. But these things won’t necessarily show the revenue value of your blog. It will be harder to quantify the impact that your posts have on your search rankings - and for most B2B companies, getting found in search results for particular keywords is where the real benefit of a blog lies. Since the pros are fairly straightforward (and there are many people who speak to them), let’s talk about the cons. Because they’re what stops most companies from having a blog. Does your company have the resources to sustain a blog? In my experience, a B2B company should do about one post a week (in some cases it’s more, and in some cases you can do one every two weeks). On average, it’s between 25 and 100 posts in a year (I’ll use 50 as an average for the calculations below). A post can range in length, usually between 400 and 600 words on average. Does your company have enough topics to generate 50 posts a year? Does your company have the resources to write and publish 50 posts a year? To answer the first question, evaluate what questions come up from customers in your industry, what issues you feel need to be better understood in the industry, and what issues you have a particular (and expert) point of view on. Most companies do have at least 50 topics a year they can cover - and often many more than that. The answer for the second question varies. When I first started writing blog posts for Mezzanine, I didn’t lack for topics, and even though I like writing, I was inefficient at it. I spent my Saturday mornings painfully creating a blog post each week. It took about 3 hours every Saturday. That was 150 hours a year for blogging. When I looked at it that way, it was clear that wasn’t a smart use of my time. So I changed my approach. I hired a writer to help me get the blog posts out of my head and onto paper (and in good words, no less). It took a while to perfect a process, but we landed on a structure in which I have a call every few weeks with the writer and I ‘brain dump’ the idea for one or two posts. It takes 15 – 30 minutes per post. Then the writer (we have a few different people now) works his or her magic and sends me back a draft for each post. The writer usually spends 45 - 60 minutes per post. I review the post, make some edits and then send it to our coordinator for publishing and promoting. The cost for writers varies based on the skill level you need; $50 - $100 per hour is often what ‘good writing’ (which is necessary in B2B) costs. Having a blog is a resource trade-off equation for most small B2B companies. It will require resources – either time, or money, or a combination. Do you have 25 hours (30 minutes to brain dump and review each post) per year and roughly $10,000 ($7500 for writing and $2500 for publishing)? I’ve simplified the numbers above to make the example clear. Not all companies have $10,000 to fund a blog, which is why they don’t do it, or they try to do it themselves. But as the first situation outlines, you really have to be committed to do it yourselves. If you’ve got absolutely nothing else to do on Saturday mornings, go for it! But most people I know would rather be with their kids, or out hiking, or just sleeping in. The second issue for B2B companies having a blog is being able to quantify and evaluate the impact the blog has on their revenue. Because although it’s easy to see how many views a particular post gets, that isn’t necessarily the main value that having a blog has. The biggest value of a blog is what it does for your search rankings. The algorithms that generate where your website stands in Google is, in part, determined by how fresh the content on your website is. Websites that get more frequent updates (eg via a blog) are preferred by Google, which means they rank higher. So if you’re competing for a page 1 ranking on a set of keywords, having a blog will help you rank higher. And that means you’ll get more leads. But you won’t see that by looking at how many views your blog post has. Blogs can do wonderful things for B2B companies. But they aren’t easy. If you have a marketing budget that allows for one, I think there’s an 80% likelihood you should have a blog. But if you don’t have the financial resources to have specialists do the execution (like a writer or outsourced marketing agency), I would suggest that likelihood drops to 20%. And there’s no shame in that – a blog is just one of many marketing tools out there – and it should be used in the right situation at the right time. If you’d like more information on deciding which tactics to use and when, read this post on how to choose the right marketing tactics.